WASHINGTON — After he is out of the White House, President Obama has said that he wants to become a venture capitalist, own part of an N.B.A. franchise and avoid taking off his shoes during security screenings at commercial airports. Other agents suggested similar numbers, but publishers — who are the ones who actually sign authors’ checks — balked at such lofty evaluations, with several saying Mr. Obama is unlikely to earn more than $12 million and Mrs. Obama $10 million. Robert B. Barnett, who served as Mr. Obama’s agent on a 2004 book deal, and representatives for Crown, which published Mr. Obama’s three previous books, declined to comment. So did the White House. “There will be plenty of time post-presidency to discuss books and book contracts, but for now the focus of the president and first lady is on squeezing every last ounce of progress out of the next five months,” said Jen Psaki, the White House communications director. Mr. Obama may be the most successful presidential author since Theodore Roosevelt, who wrote 42 books, including the popular “Hunting Trips of a Ranchman,” published in 1885, and “The Wilderness Hunter,” published in 1893. But every winning presidential candidate since 1952 has written at least one book before entering the White House. John F. Kennedy was a success with “Profiles in Courage,” a best seller that won a Pulitzer Prize. Kennedy’s authorship of the book has since been questioned. 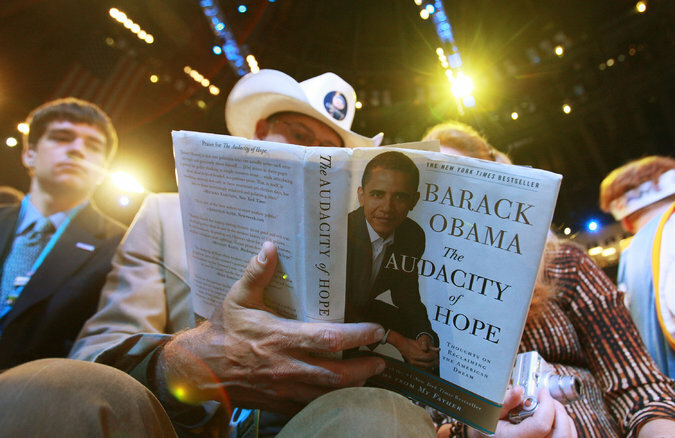 Mr. Obama’s three books — “Dreams From My Father,” “The Audacity of Hope” and “Of Thee I Sing” — have sold more than four million copies, according to publishing lists, and earned him more than $10 million, according to financial disclosures. Publishers hope that Mr. Obama’s writing ability could make his memoir not only profitable in its first years but perhaps for decades to come. Among presidential memoirs, only the one by Ulysses S. Grant, published in 1885, is considered by many historians to be timeless. Mr. Obama’s first book, “Dreams From My Father,” has been praised asliterary, and since taking office, Mr. Obama is widely seen as one of the most skilled speechwriters to ever put pen to legal pad in the Oval Office. There is also hope that he might open up about himself, as he did in his first book. 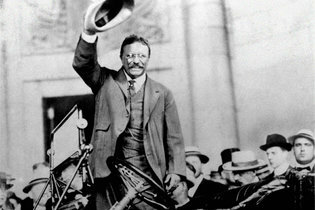 Writing books and giving paid speeches has become the preferred occupation of former presidents. Gerald R. Ford gave hundreds of speeches on what he called the “mashed potato circuit” after losing re-election in 1976. Ronald Reagan earned $2 million for eight days of speeches in Japan. Bill and Hillary Clinton earned $153 million between 2001 and 2015 from paid speeches, CNN estimated, and George W. Bush has quietly earned tens of millions himself. But books are the preferred way to make money because they do not have the taint of paid speeches, and they generally sell well. Despite a second term that left him among the most unpopular departing presidents in history, Mr. Bush’s book “Decision Points” was a hit, selling about two million copies and earning Mr. Bush an estimated $10 million. Similarly, Mr. Clinton’s memoir, “My Life,” was a best seller, with at least 1.4 million copies in print. Under a $1.9 million contract he signed in 2004 with Crown, Mr. Obama is obliged to produce another nonfiction book for the publishing house. But Mr. Barnett has said that book would not be a memoir, and no one interviewed for this story thought Mr. Obama would deliver that book to Crown under the 2004 terms. Agents and publishers speculated that Mr. Obama’s memoirs could come in two volumes, one for each term. He could also write a book on race relations in the United States, which was the original plan for “Dreams From My Father” before he turned that book into a memoir. Whether Mr. Obama will be able to deliver a manuscript as quickly as his publisher would like is unclear. His first contract for “Dreams From My Father” was canceled after he badly missed his deadline. He was able to finish the memoir only after secluding himself in a cottage on Sanur Beach on Bali, Indonesia. 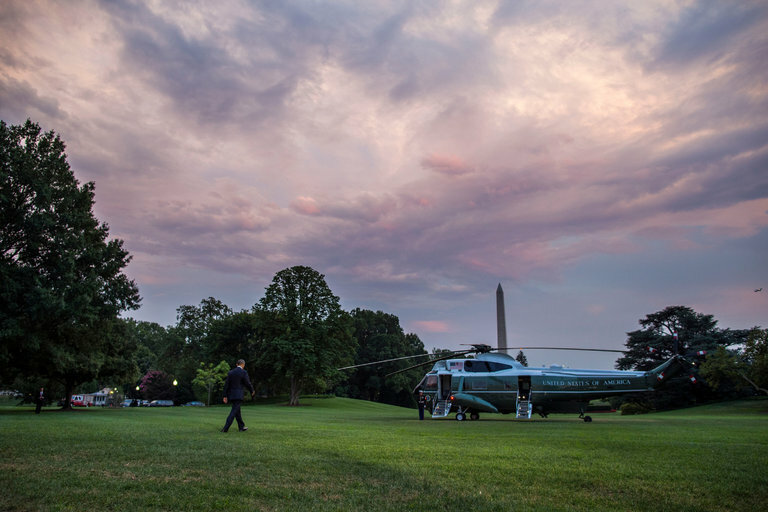 Mr. Obama told Jimmy Fallon in June that, after spending eight winters in Washington, he and Michelle would fly to “some place warm for a while” when their term ends, perhaps to write again. He could have a head start. 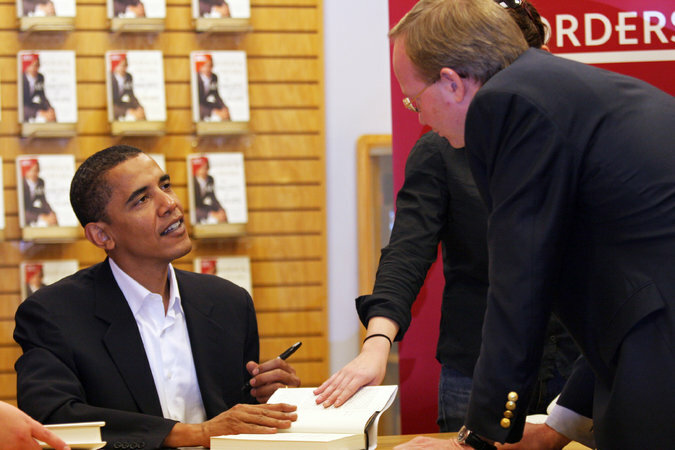 Before he was president, Mr. Obama adopted the author’s habit of writing regularly in a journal. His boss as a Chicago community organizer, Jerry Kellman, said that Mr. Obama aspired to two things: to work for social change and write a novel.